Today was a rest day and an opportunity to look around the local area. The change in medication has also significantly reduced the cost of purchasing paper tissues. I still can’t believe they sold me medication to make a runny nose get up onto it’s toes and start sprinting! 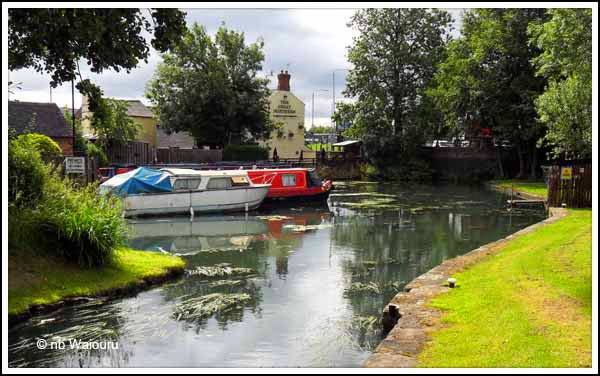 Langley Mill is well served for supermarkets with Lidl, Asda, Morrisons and Tesco all within walking distance of the canal basin. 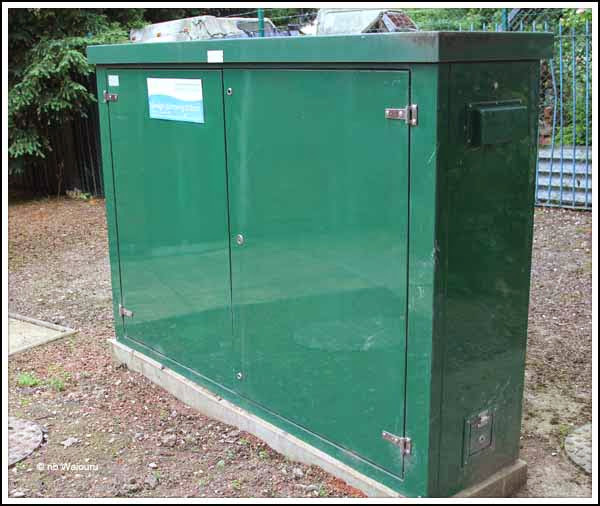 Yesterday I mentioned there was a self-pumpout facility in the basin as I’d assumed this large green rectangular box marked ‘sewage pump’ was a CRT facility. Today I discovered its a………. new sewage pump beside the basin. However all is not lost because we walked around to the boatyard on the other side of the basin and established they have a pumpout and also sell red diesel (flat rate of £1.20/ltr). They have a dry dock and undertake most types of steel structural work. 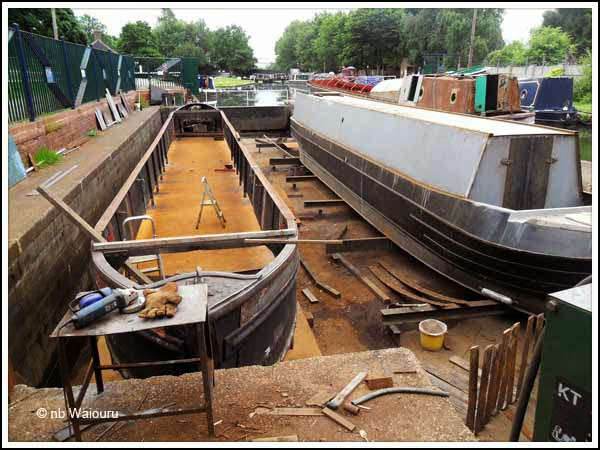 The boat on the left in the photo above was being fitted with a new bottom and the one on the right is a new shell. 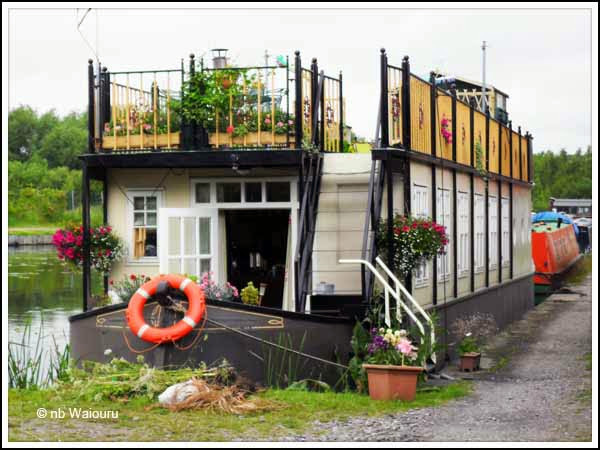 The staff member also told us they had built a houseboat which was moored further up the arm. It’s fairly obvious this will never leave the basin by water. It’s far too high to fit under the bridge immediately below the top lock. Besides, it has no propulsion! 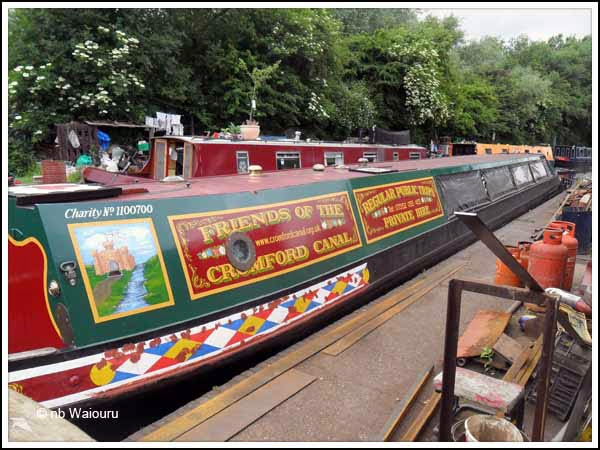 The boatyard has been doing some work on an old trip boat which is to be used by ‘The Friends of the Cromford Canal’. It’s the other end of the canal that has been restored so the boat will be making a road journey before it’s put to use. The top end of the arm has a large winding hole and originally would have been the start of the Cromford Canal. Back at the other end of the arm (in the basin) there is another short arm to yet more long term moorings. My assumption this is the start of the former Nottingham Canal. Why? 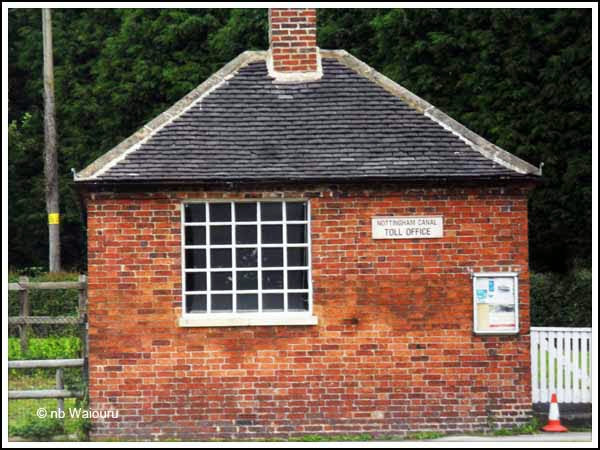 Because the brick building at the entrance has a sign “Nottingham Canal Toll Office” on it! 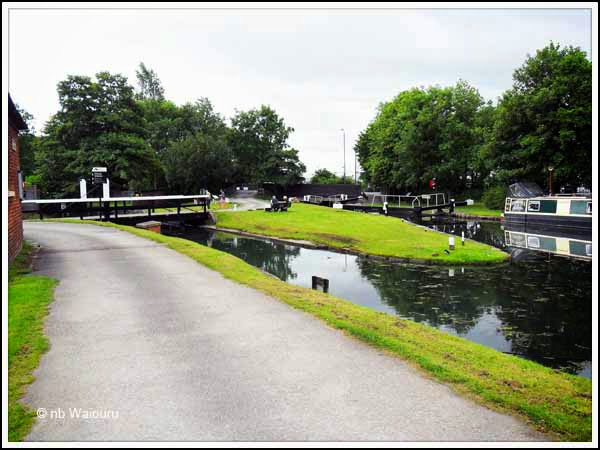 So the end of the Erewash Canal at Langley Mill was also the junction to the Cromford and Nottingham Canals. 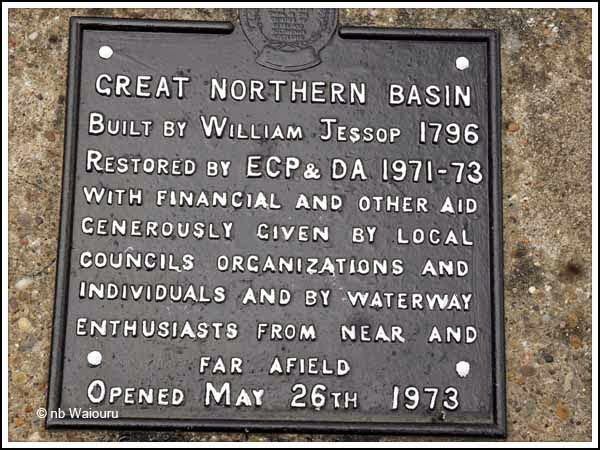 There is a large plaque on a stone plinth at the entrance to the basin. Looking back towards the Erewash Canal on the right (the lock) and what would have been the entrance to the Nottingham Canal on the left. Oh Halfie, whilst we were purchasing our end of navigation plaque from the boatyard they told us all the weed in the canal had appeared almost overnight! 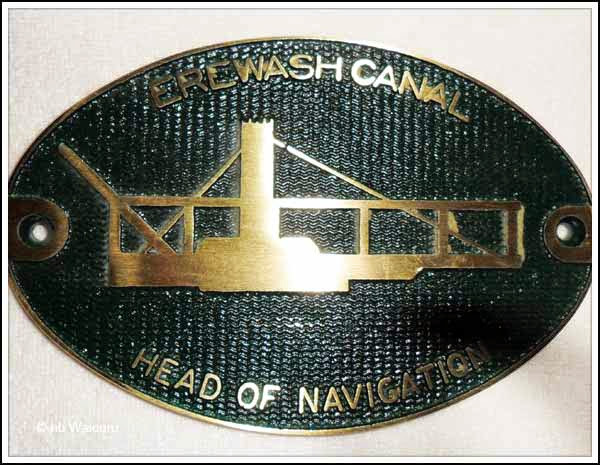 The plaque looks as if it has the symbol for a swing bridge on it! Perhaps the swing bridge on the plaque is the one at the entrance to the Nottingham Canal. Interesting about the weed! I think I know what sort of weed you battled against - one year we did the Wednesbury Oak Loop and were down the weed hatch all the time clearing great mounds of the stuff. Hi Tom, With regard to the photos not coming up in your posts, since Google Reader has been discontinued, I changed over to Freely. Yep, I found all, or only some photos would not be displayed. Moved over to Blogger, and ALL photos have been displayed, so Blogger maybe the Reader to use yours and other bloggers, regardless of their Blog system. Cold night last here in Perth WA, got down to 2.2c, looks like it maybe the same again tonight. Also the 2nd Driest winter on record too, wheat belt is screaming for rain, if it does not come over the weekend, many farmers will miss out on planting and then no harvest, no money to ward off fore closure, not to mention flour price will go up, so the cycle of woes starts again. Tom, In my previous comment about a Blog Reader that I named as Freely, I was incorrect, should read Feedly. There isn't much I can do about Reader! No doubt my dear old mum will tell me all about the Perth weather when I phone her next Sunday! It's always nice to see pictures of her posted by others! 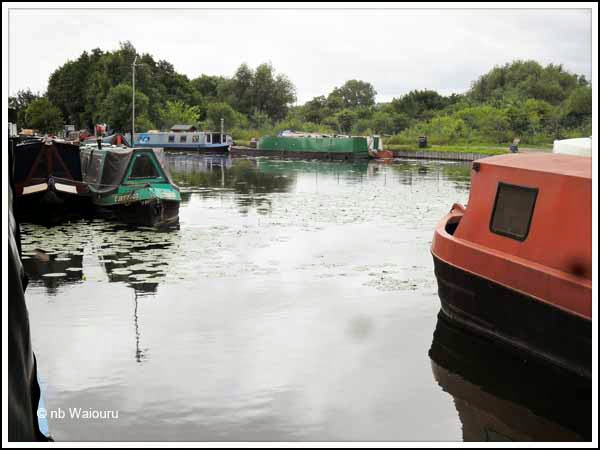 The shots of Langley Mill are great, my parents also tie up there, with their two tugs! Feel free to share the blog and follow! Hope the rest of your trip went well. Thanks for the info and your blog link. An interesting project. I've added your blog to my own blog list and will read about your restoration with interest.